Yurts, log cabins, and summerhouses might have been around for years and years, but they have never been as popular as they are now, that’s for sure. More and more families are choosing to erect a yurt or build a log cabin or summerhouse in their back gardens, with some fantastic results. Take a peek on Pinterest, and you can see all the amazing back garden yurt, log cabin, and summerhouse solutions, and how they are being utilised by families up and down the country. If you’re lucky enough to have a large(ish) back garden and have some spare funds to play with, it could be worth considering getting on board with this craze. 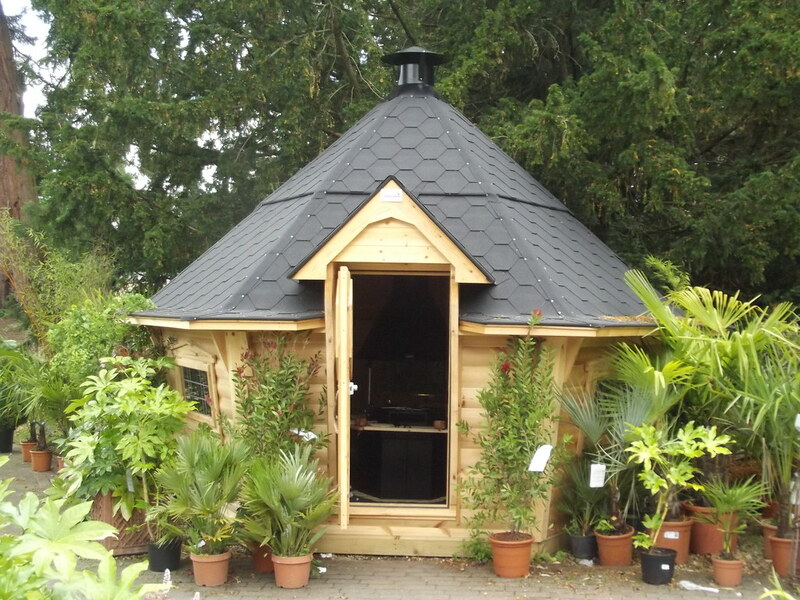 Just think of the possibilities having a yurt, log cabin, or summerhouse in your garden could bring. To help you determine whether investing in one of these options could be worth the time and money, read on. Below we’ll discuss the uses of yurts, summerhouses, and log cabins, how practical they are, and how to get the decor spot on. What could you use a yurt, log cabin, or summerhouse for? The possibilities really are endless, that’s the fantastic thing about choosing to erect a yurt or build a log cabin or summerhouse in your garden. While some people choose to use these spaces as playrooms for the kids, home offices, or even entertainment spaces, one of the best uses is the most simple – as an extra sleeping space. Do you lack space for guests? Well then, having some sort of outbuilding created in your garden could be ideal. Just make sure that if you do choose to create a guest bedroom that you invest in a good quality bed, quality bed linen that will wear well, like the range that Richard Haworth offers, and lots of cute, quirky accessories. Think faux fur rugs, rustic lamps, and strings of fairy lights and bunting. The prettier you can make the space, the better. There’s no point investing in one of these options if you won’t get the use out of it that makes it worth the cost. That’s why a lot of people choose to double up these spaces and use them for various things so that they’re not sitting there unused. How practical are these out ‘buildings’? How practical these ‘buildings’ are depends on what materials are used to create them and what features they incorporate. If you’re able to invest in the option that you choose, you can make it an incredible space. You can opt to have heating fitted, running water installed, even a small kitchen and bathroom. But here’s the thing, it all comes down to funds. Of all the options, the yurt tends to be the cheapest as it’s not a solid structure, which means that it most probably won’t last as long. However, by placing your yurt on wooden decking and investing in a weather-resistant design, you can extend its life. That being said, if you want your out ‘building’ to last for many years to come, building a summerhouse or log cabin could be a better option. These might cost more to create, but they come with a much wider range of possibilities, so the extra investment can be worthwhile, especially as these buildings will last for years and add value to your home. Are these options worth the investment? If you are going to be able to get plenty of use out of a summerhouse, yurt, or log cabin, then the investment is worthwhile. However, if you can’t realistically see your family taking advantage of the space, then it’s not a worthwhile investment to make. Yurts, log cabins, and summerhouses are all the rage right now and can be a fantastic investment to make, depending on whether your family will get enough use out of them, that is.